Lights Up reserves the right to accept and/or exclude students at their discretion, completion of an application form does not automatically guarantee a place in the chosen program. Enrolment is subject to available space to our discretion. Deposits paid will be refunded on request should we not be able to offer a space in your requested class time. Program times and dates are subject to change. Any changes made will be published on our website and students informed via emails provided for correspondence. Personal Data collected for registered students will be stored on our secure systems, this information is kept in the strictest confidence and will not be shared with any 3rd parties, ever. Information provided to us may be used for contact and marketing solely by ‘Lights Up’ from time to time. A deposit and one time sign up fee ($25) is required for all new students registering at Lights Up and registration assumes you are committing to the full term of classes (9 or 10 weeks). New students have the option to attend the first 2 classes of the term as a ‘try out’, if for whatever reason you decide to cancel your place during or after the ‘try out’, this can be done in writing (email or ‘contact us’ on the website) before the 3rd weekend of classes. Your place will be cancelled and no more fees will be due. Should circumstances change and cancellation of an upcoming weekly program or camp is needed, a minimum of 14 days is required BEFORE the commencement date of the program in order to receive a deposit or fee refund. Cancellations and refunds within the 14 day time frame are to the discretion of Lights Up and maybe subject to a future sign up credit. Cancellation requests must be in writing, please email vancouver@lightsuptheatre.ca or visit the ‘contact us’ link. 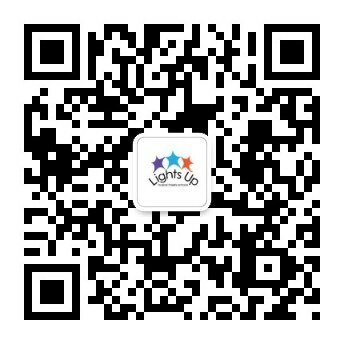 Lights Up is an ongoing program and therefore current students have a guaranteed place for the next session. Confirmation of attendance is required in writing, via email or requested forms etc.. in order to hold your place for a subsequent session. The $25 one time sign-up fee includes a Lights Up Shirt, Bag & Binder (Spotlight and Company only) and is payable at 1st signup only. The sign-up fee is non-refundable for cancellations, to the discretion of Lights Up. Sign up fees are not required for camp places. Deposits are required to hold your place in a particular class and also cover up to the first 2 weeks of classes you attend. Deposits are non-refundable for cancellations within 14 days of term beginning or once term has begun, refunds for cancellations after the first 2 classes are at the discretion of Lights Up. Staff changes and absences are sometimes unavoidable and Lights Up reserves the right to change staff members if/when required. Lights Up will occasionally take record video and photographs at classes and performances for use in our own marketing, promotions and for record purposes. This material will not be shared or provided to 3rd parties, nor will name credits be given. Should you prefer your child(s) not to be recorded, please inform us in writing prior to your commencement at Lights Up. Lights Up Theatre Schools and its staff’s liability is limited solely to gross negligence and only during scheduled class times or events. Parents must agree to our ‘Declaration to Participate’ detailed below prior to commencement of classes. But submitting your application you are deemed to have read, understand and agree to the declaration. Lights Up will endeavour to run classes on all scheduled and booked dates, however ‘acts of god’ such as heavy snow, flood and fire can occur, which are beyond Lights Up control and may require one time cancellation of classes for these specific events. If scheduling allows, Lights Up may offer make up classes in place of cancellations but this may not always be possible. Lights Up require parents to collect students promptly at the end of a scheduled class or camp day. We are unable to offer after class care for students due to venue restrictions. We understand occasional lateness does occur but request students are collected no later than 15 minutes after class finishes. Parents who arrive late for collection agree to pay a $25 fee for every 15 minutes of time over this initial 15 minute grace period, at the discretion of Lights Up. Discounts offered for classes and camps are at the discretion of Lights Up. Sibling discounts apply to the 2nd and any subsequent siblings being enrolled together. The discount is applied against the lowest fee. Siblings must be directly related, sibling discount does not apply to cousins, friends etc.. Multi camp discounts apply to 2nd and subsequent camps registered for within the same calendar year, 2 week intensive camps are not part of this promotion. Lights Up can accept no liability for personal belongings which may be lost, damaged or stolen at our venues or events. Lost and found will be collected each session held for the duration of the specific term or session. Items will be reunited on request. Displayed fees are subject to 5% GST added at enrolment. I, being the parent/legal guardian of the child(ren) named on this application, declare that the information, medical details, or other conditions which may affect my child’s ability to participate in Lights Up Musical Theatre Schools are correct to the best of my knowledge. I grant permission for my child to participate in all activities and understand that Lights Up Musical Theatre Schools does not provide health insurance or medical coverage. I acknowledge that I am responsible for arranging and paying for any medical treatment which may be required while my child is participating in Lights Up, regardless of the reason that such medical treatment is necessary. In the event that my child requires medical treatment while attending a Lights Up Musical Theatre Schools program, and cannot be immediately contacted, I authorize to provide any and all necessary medical help for my child while he or she is under the supervision of the Lights Up Musical Theatre Schools and authorize Lights Up Musical Theatre Schools to permit any medical treatment provider to take all reasonable measures to treat any injury or sickness that my child may suffer. I acknowledge that there are risks inherent to participation in Lights Up Musical Theatre Schools and that as a result of these risks, my child may suffer injury. Nevertheless, I acknowledge that my child’s participation in Lights Up Musical Theatre Schools is entirely at his or her own risk. I waive any claim I may have against Lights Up Musical Theatre Schools and agree to indemnify and hold harmless Lights Up Musical Theatre Schools for any claim arising from my child’s participation.